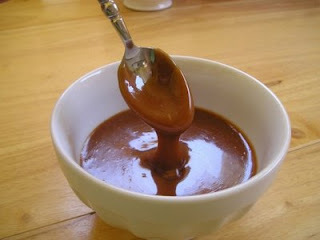 Discription:This caramel sauce is mostly used as cake topping or filling but can also be used as cookies topping. Its taste very delicious and it can be used to make nut dessert which further enhances its taste. You can easily try this easy sauce recipe and enjoy delicious desserts. For making moth watering desserts with caramel, you might also be interested in the book Title : Caramel, which contains over 130 delicious desserts made from caramel. Put butter , condensed milk and brown sugar in the sauce pan and mix well and cook them together on medium heat so that sugar completely dissolve in the mixture and a thick paste would form. Stir the sauce constantly so that layer would not form at top and cool it at room temperature. Besides using it as topping sauce for any cake or cookies you may also add different kind of nuts like pecan, almonds, walnuts and cashew in this sauce and serve it after freezing. It would become a great healthy dessert for children.